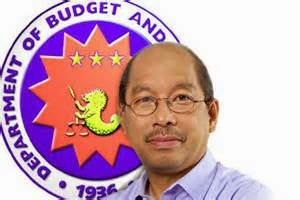 The secretary of the Department of Budget and Management Butch Abad went to the University of the Philippines to deliver and present ideas about the Disbursement Acceleration Program or DAP and other budget matters per invitation by the UP Student Council. There was an open discussion and of course a political rally inside and outside the session hall where the presentation was held. 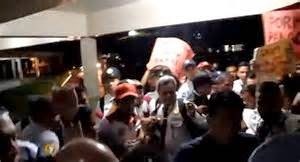 After the event, Mr. Abad was supposed to exit from UP but he was confronted by a group of rallying students; he was booed, pelted with coins, and received insults. For some people, this is a natural occurrence in the famous university due to its liberal implementation of academic freedom. Others saw it differently and categorized it as hooliganism. True to it, not a day passed when Malacanang labelled the incident as hooliganism and some groups of UP students reminded people at the palace that the term was exploited during the Marcos regime to discredit activism and freedom of speech. Even the UP administration formally expressed their disgust with the incident and deplored the violence that occurred that day. While some viewed it as hooliganism at work, others have a different perspective; it was an expression of disappointment. People have different reactions when they are frustrated, in fact some resort to killings and vendettas just to get their message across. So one cannot help but argue for and against UP students and on the other side of the equation ,of Abad’s situation. One is convinced based on personal judgement, experience, exposure, and analysis. 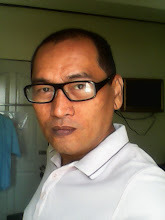 Those who said that it is hooliganism are saying so maybe due to disappointment considering the fact that the students were schooled in one of the finest universities in the country and the state paid a portion of their studies; thus, they are called “Iskolar ng Bayan.” Their act might be considered as biting the hands that feed them. Those who said that it was an act of “Idealism,” will definitely raise many eyebrows. If indeed it is an act of idealism, then maybe hooliganism is already an ideal perpetrated by the inability of the government to curb graft and corruption and even promote it wittingly. UP is already famous for student activism even during the time of Martial Law. When Martial Law was abolished and the new government was installed and elected, the environment for activism remains the same. The academe community was never partial with student activism and treated it as part of the learning process and personal maturity for the students. But, people in the government affected or implicated in the protest movement saw it otherwise and treated the act as an injustice and childish. For them, there are available forums to express their ideas and student activists should not whine in the streets. So, what is it? Hooliganism? Idealism? The truth is none of the two ideas are acceptable. The incident deserved neither labels. Instead, everyone should see it on a balanced perspective, whether it is a personal thing or not. The 4 Way Truths of the Jaycees is one parameter which we can base our judgement from if the act of the students were right or wrong. However, even if the students were wrong, they still have the right to protest especially if they believe that the current government is insensitive and chose to play the three blind mice when it comes to graft and corruption and administrative inefficiencies.